The Left Front is just a step away from forming the Siliguri Municipal Corporation Board following nomination of mayor and chairman seats by two seasoned CPM leaders on Friday. Darjeeling District CPM convenor and newly elected SMC Ward-6 councillor Ashok Bhattacharya filed-in his nomination papers for the post of SMC Mayor, while newly elected Ward-42 councillor Dilip Singh filed for board chairmanship at the office of municipality commissioner Sonam Wangdi Bhutia. The names of the mayor and chairman will be formally announced on May 18. Notably, the CPM achieved an impressive victory in the recently concluded SMC elections, with just one seat required to form the board. However, the one-seat void was quickly filled by Ward-15 councillor and independent candidate Arvind Ghosh after he announced his support for the Left Front. Speaking to reporters after filing his nomination for the mayor’s post, Bhattacharya said his party on Friday filed the nomination papers for the posts of mayor and chairman in the presence for the SMC commissioner. “If any other party wishes to file their nomination for the two posts, they can do so by May 16. If that happens, the mayor and chairman will be chosen through a secret ballot, while the names chosen will be announced at the first SMC meeting called by the state government. 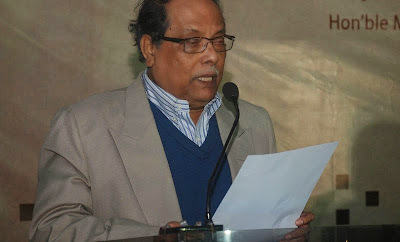 On the other hand, if no other parties file their nomination till the given day, the meeting chairman will announce the name of the CPM candidates,” Bhattacharya explained. He pledged to take the responsibility given by the people seriously, and ardently work for their benefit. “The CPM will run the SMC board dedicatedly, keeping the interest of people as its first priority,” the CPM veteran added. Addressing reporters, second time SMC chairman candidate Dilip Singh said he worked hard as the chairman of the previous board and will continue to take responsibility dedicatedly this time as well. The CPM leader promised to put in all his efforts to serve the people of the city and help them in all possible ways. Darjeeling District CPM convenor and newly elected SMC Ward-6 councillor Ashok Bhattacharya filed-in his nomination papers for the post of SMC Mayor, while newly elected Ward-42 councillor Dilip Singh filed for board chairmanship at the office of municipality commissioner Sonam Wangdi Bhutia.